Connecting display to Arduino can be expensive, complicated and unsatisfying. 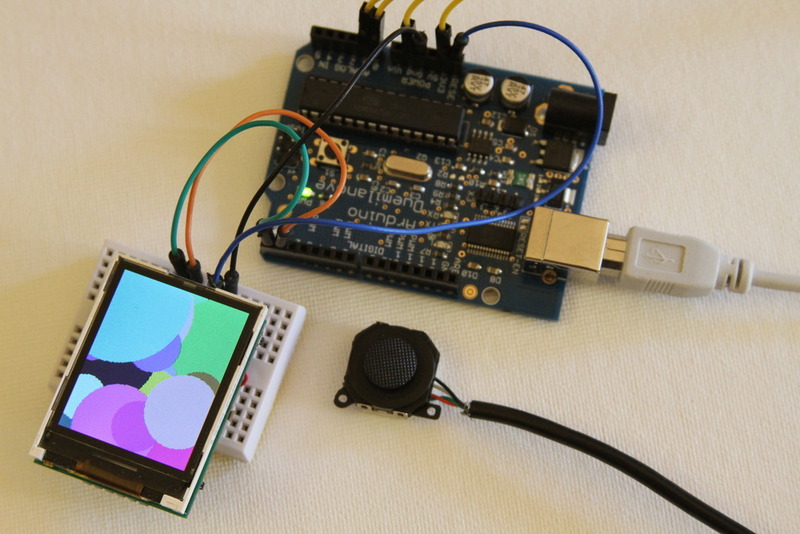 The smartlcd attempts to make it cheaper, simpler and more fun. There are lots of interesting displays hiding in cell phones, cameras, mp3 players and various other devices. In this post we will be looking at two of my non-Nokia favorites: The iPod Nano 2G display and the so called “cheapest TFT in the world”. Then we will be making a gadget that hopefully does something useful with them. To repurpose a display we need to determine its interface mode (serial/parallel), pinout and driver ic. If the display has a nice part number printed on the side then you might get lucky and have the interwebs answer all your questions. Much more often than not you have to do it the hard way. Count the number of pins on the connector. If there are 8-16 pins it is almost certainly a 8 or 9 bit spi interface. Find the LED supply pins (almost always the thickest traces on the flex) and give them the respect their elevated voltages deserve. Attach a logic analyzer to a live system determine the spi clk (wiggles most), the spi mosi (wiggles second most), the spi select and the reset (wiggles once). See this example. If you have 20 or more pins you have an 8 bit parallel interface. If you have 24 or more chances are it is 16 bit parallel. Many displays have the ability to run in both serial and parallel modes that can be selected with one or more external pins. If you are short of GPIOs this is a good option. The iPod Nano 2G has a lovely little 22 pin transflective 176×132 screen. It has a 0.3mm pitch connector as seen in the iFixit tear-down. 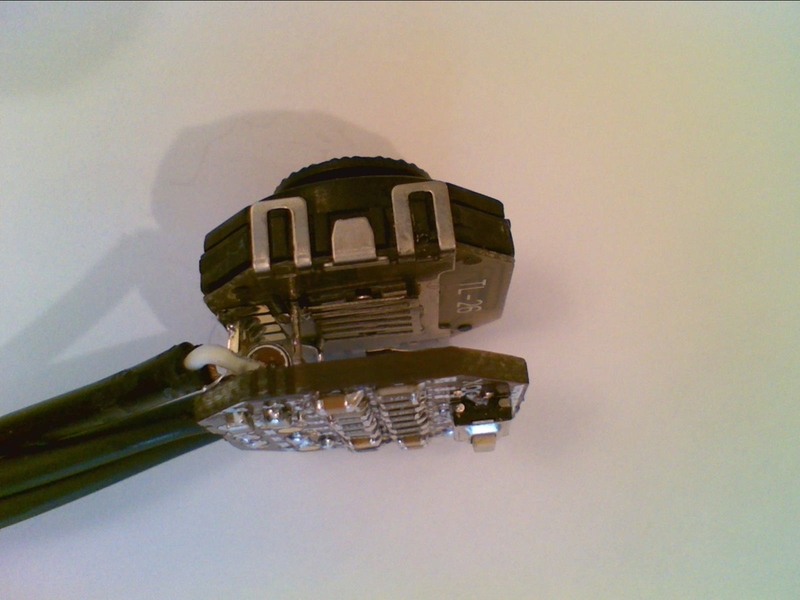 Nearly all 0.3mm ffc connectors have an odd number of pins. Apple thought different and used a DDK FF12 that is very hard to come by. After buying lots of replacement LCDs ($5 ebay + many $1 auction wins) and lots of dead/dying nano2Gs it was time bust out the fine transformer winding wire and a logic analyzer. The data bus is easy to find: look for 8 consecutive bits that change all at the same time. The WR, CS and CD signals are then fairly easy to spot based on decreasing activity. As it turns out there are at least two different driver ics in these screens: A narrow one that looks a lot like a ILI9163 (8 bit wide commands, sets up blits with 0x2C) and wide one that looks a lot like an ILI9320 (16 bit commands, sets up blits with 0x22). Although these controllers are similar to documented controllers they still have major differences and I needed to record an initialization sequence from a live boot in order to get them to work. If one dismembers enough mp3 players one starts to notice patterns of part usage. 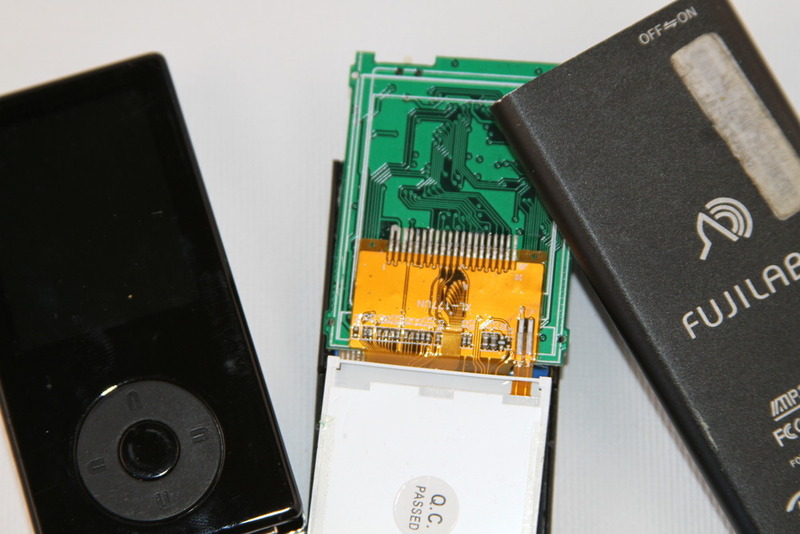 One display caught my eye: it was very common in cheap 128×160 mp3 players, was a crisp and high contrast TFT, and had a hot bar solder connector that looked like it could be soldered by humans. After dismembering a very nice Insignia digital photo keyframe and applying the logic analyzer the traces look very familiar. It was a ILI9163. Other devices turned up a ILI9161 and a Samsung S6D0144. 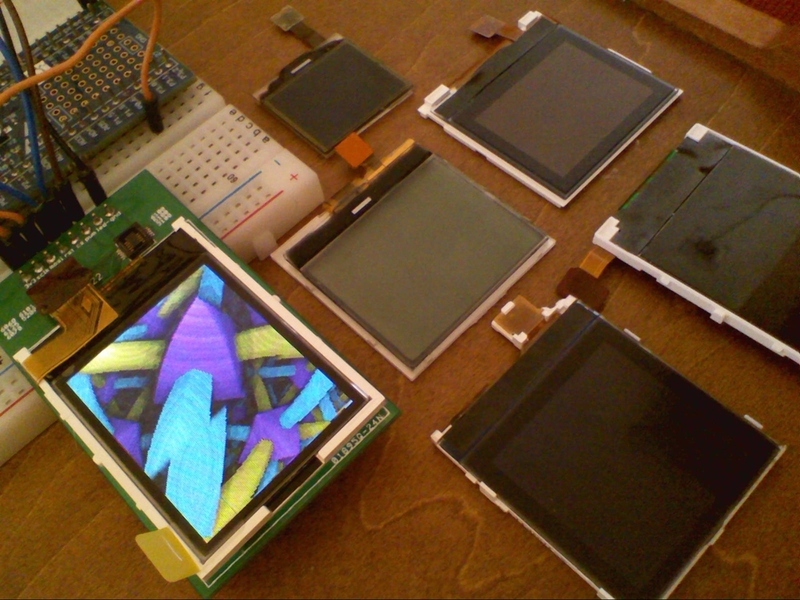 All variants seem to have a very similar physical outline; another defacto standard like the touchscreen used in microtouch.They are widely available in China for $2 making them the cheapest TFT going. So how can we make this lovely little screen useful to say an Arduino enthusiast? 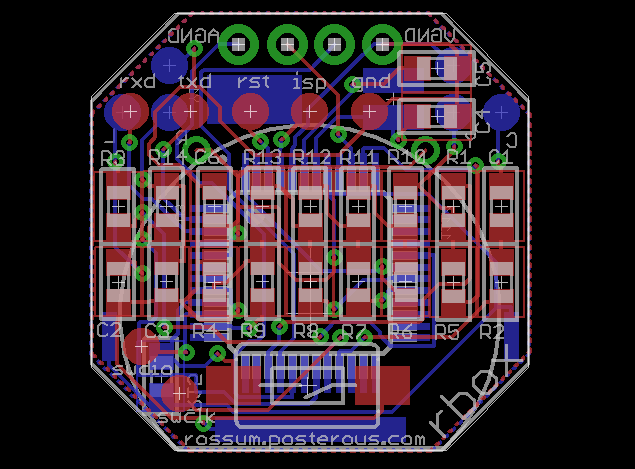 It needs 3v3 io on 14 pins connected to a 1mm pitch hot bar solder connector, a 6v boost converter to supply the leds, drivers, apis etc to make it useful. Not the simplest thing to do on a breadboard. Thats where smartlcd comes in. 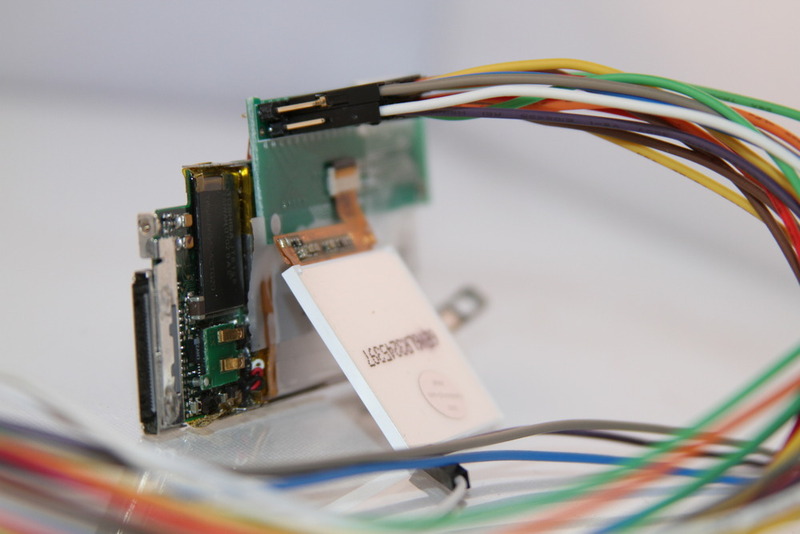 The smartlcd adds intelligence to a TFT 20 display. 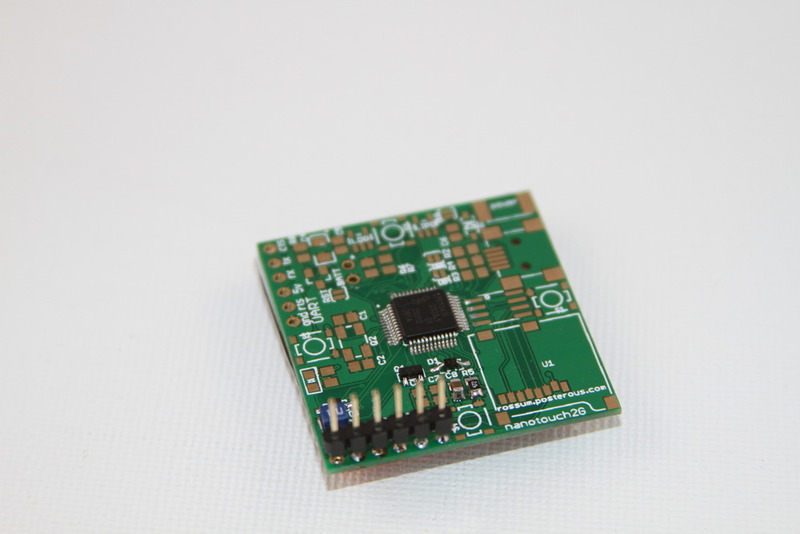 An inexpensive Arm Cortex M0 or M3 microcontroller is used to provide graphics and media processing as well as providing a high speed serial interface the 3v3 display. 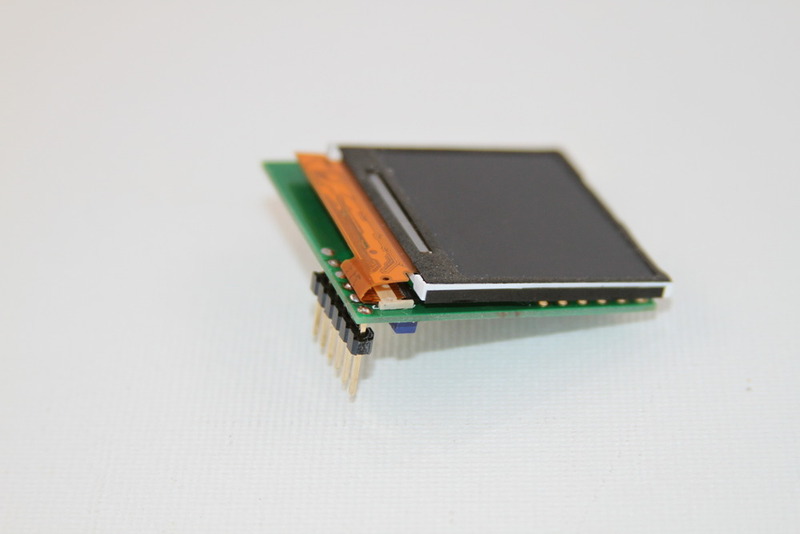 With additional components the smartlcd can offer a spi-flash or microSD file system and usb. 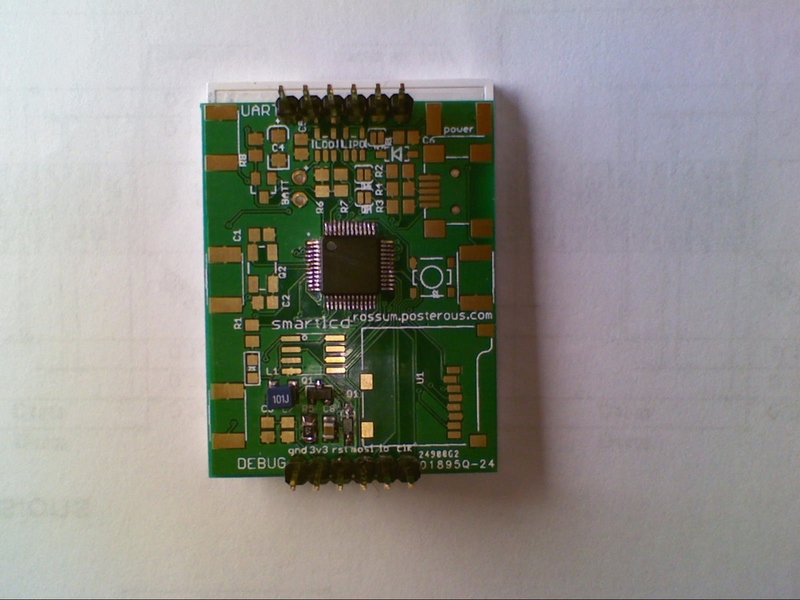 One single pcb scales from bare bones serial through to a stand alone lipo battery powered device. smartlcd uses a serial link to connect to Arduino and other devices The serial link runs a slip framed, software flow controlled RPC at 1MBit. 5v to 3v3 level conversion is not necessary; the smartlcd inputs are 5v tolerant and can plug directly into the Arduino RX and TX pins. 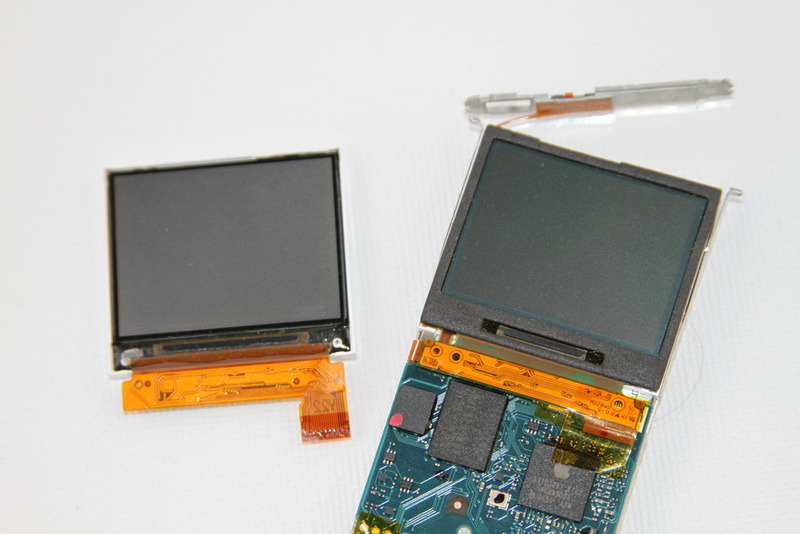 Because it is connected to the serial interface, the smartlcd can reprogram the Arduino and under the right circumstances the Arduino can be reprogram the smartlcd. The smartlcd can also be configured to be reprogrammed via USB and you don’t have to know anything about arm or own a arm development kit to build one. 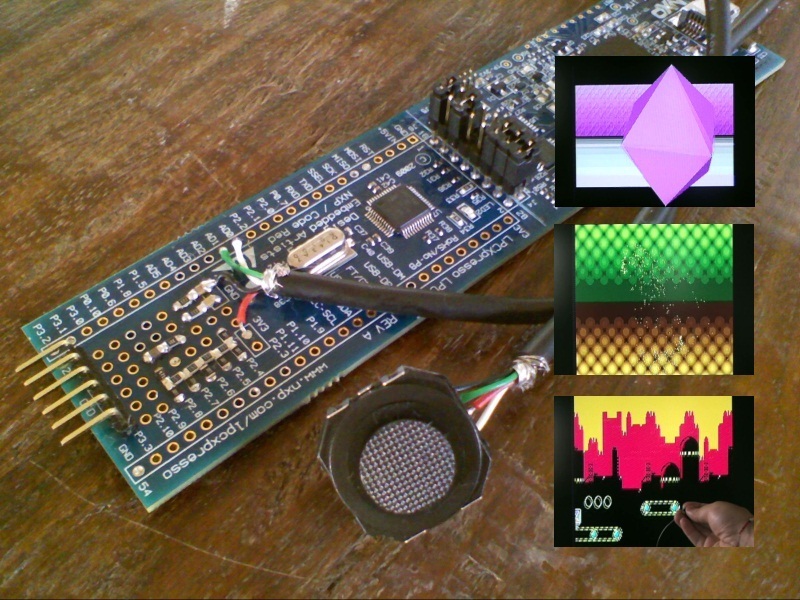 Fully loaded versions of smartlcd can decode JPEG, PNG and will be able to decode some forms of video. Source code, schematics and Eagle files: https://sourceforge.net/projects/smartlcd/. This entry was posted in Uncategorized on November 17, 2010 by rossumblog. I finally got around to assembling a stand alone version of the RBox. As some of you correctly noted building a videogame for the price of a latte that depends on a $30 dev kit is cheating a bit. This version is self contained and while not practical or useful it is at least fun to build. 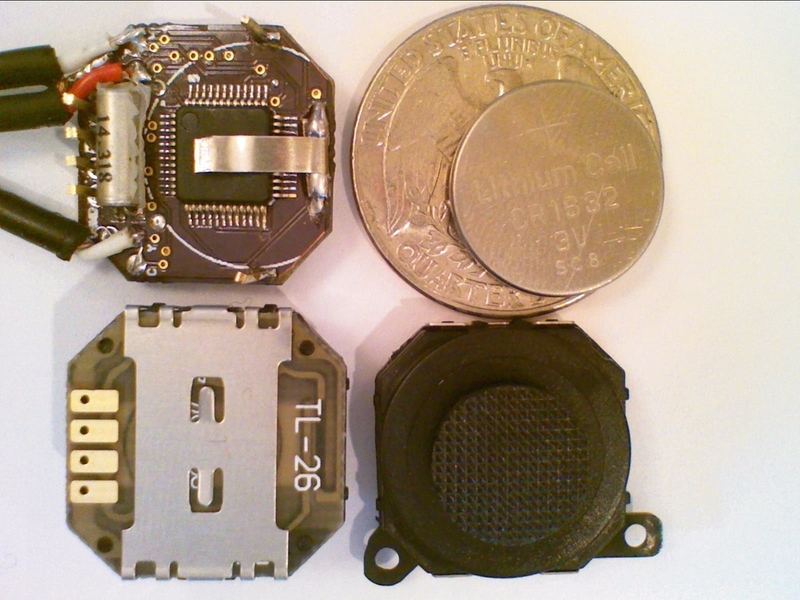 The design sandwiches a lithium button cell between the psp joystick and the pcb. It adds a single button that serves as both the power switch and a fire button. 2 axis control + fire may seem a modest level of input but modern standards but if it was good enough for Atari is is good enough for me. Thin bendy metal on top of the cpu and on the bottom of the joystick provide a suprisingly effective friction fit for the CR1632 battery. 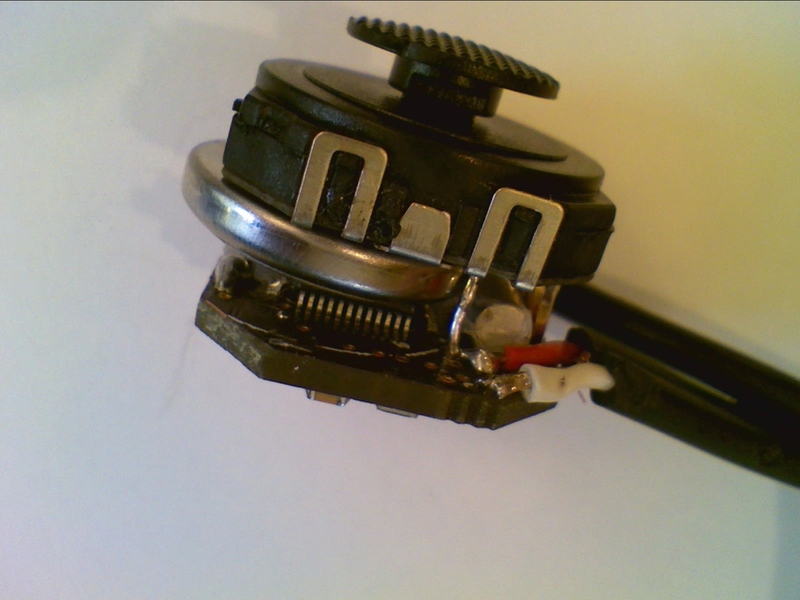 Don’t try to solder directly to the metal on the bottom of the joystick. When running a game and playing audio the device uses about 28ma so I get about 4 hours of continuous use from the CR1632. Feel free to use a CR1616 or CR1620 for a slimmer look and more frequent battery replacement. 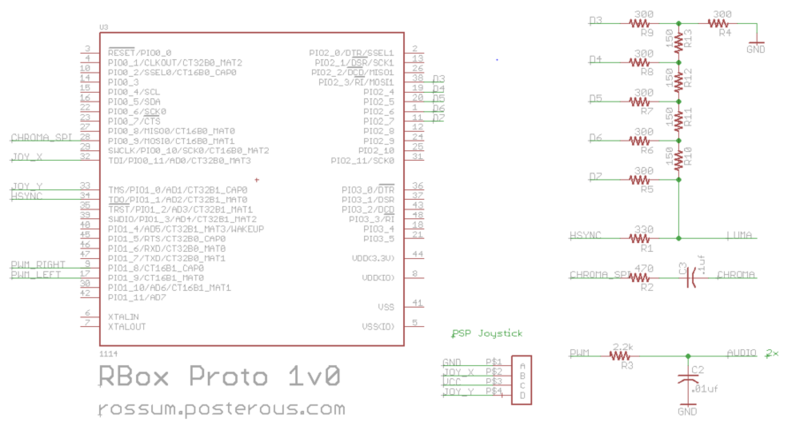 The schematic is virtually identical to the prototype with a few exceptions. The joystick VCC line is connected to a GPIO rather than VCC to reduce power during normal operation and especially during deep power down. The fire button is connected to the WAKEUP pin that brings the beast back from deep power down. The code will deep power down the RBox after 3 minutes of inactivity. While turned off the RBox uses about ~200na as far as I can measure on my crappy meter. The board supports both composite and s-video. If you don’t feel like making your own pcb order them from http://dorkbotpdx.org/wiki/pcb_order. This is simply the cheapest and best way of getting pcbs in small volume. Nobody else comes close. Unless you really like what ferric chloride does for your sneakers there is no reason not to use these guys. New code, schematic and pcb posted on https://sourceforge.net/projects/rbox/. If you would like a kit post a comment and if there is lots of interest I will see if I can get one organized. This entry was posted in Uncategorized on October 25, 2010 by rossumblog. 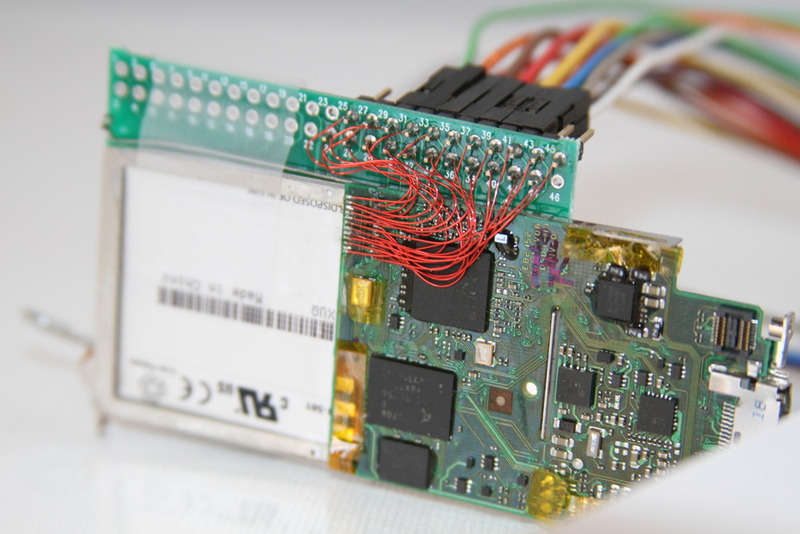 If you enjoy LCDs and microcontrollers chances are that you have tinkered with the ubiquitous Nokia 6100 screen. I love the fact that a youtube search for “Nokia 6100” produces may more AVR and PIC hacks than phones. In a bit of a departure from my normal projects this is the first in a series of posts on lots of other little known display choices that are better, cheaper and just more fun. It is a CSTN (passive matrix) display leading to ghosting if things move quicky. Koopas are especially lethal if nearly invisible. 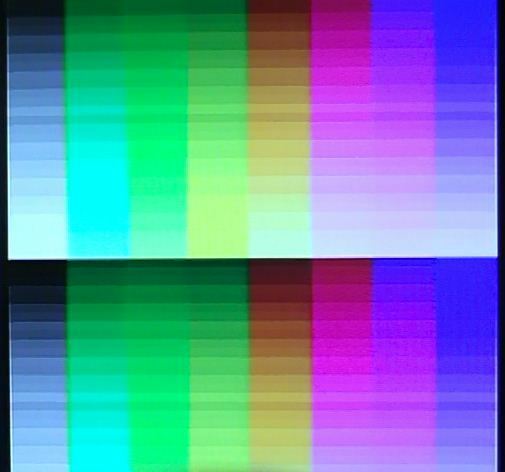 Limited color depth of 12 bits (4096 colors + dithering on some displays). It comes with 2 incompatible driver ics (Philips or Epson). Not cheap: $15 from sparkfun or (gasp) $35-$42 for breakout boards. A fiddly, relatively uncommon 0.5mm connector that tends to tear off expensive breakout boards rendering them useless. Needs 6V for the backlight (2 leds in series). The Nokia 6100 first shipped in 2002. Of the hundreds of models of phones from nokia (yes, hundreds) surely there are other screens of interest? A quick check in my junk phone archive of hundres of phones (yes, hundreds) turned up a few interesting candidates. A quick check of the schematics turned up a series of SPI driven displays connected to 10, 22 and 24 sockets. Nokia 1600: Although the 1600 screen uses the same 10 pin connector (Hirose DF23-10DS) as the Nokia 6100 the pinout is very different – so different in fact that if you plug a 1600 screen into a 6100 phone blue smoke will be emmitted and your phone will become a purely decorative item. The screen is speced as 96×65 CSTN. Nokia 6101: Two displays here. A 96×65 CSTN caller id screen with backlight leds on the phone pcb (fail/win) and nice big one with a 22 pin 0.5mm connector (Hirose DF23-22DS) that is a 132×162 TFT (acvtive matrix) display. Nokia 2760: Two displays again: an oh-so-cute teeny 96×65 blue monochrome display with the 10 pin connector and a 132×162 TFT with a 24 pin 0.4mm connector. These are not the Hirose DF30 series; I am still looking for a definitive source. We know they are SPI, so lets get them wired up to a logic analyser and see if we can identify what controller they use. Once wired up we record the traffic going two and from the LCD as the phone boots. Looking at the traces it is clear that all these phone used a fairly uncommon 3 wire mode of SPI to determine what display is attached. After an initial 0x11 (Sleep Out) 9 bit SPI command the 0xDA,0xDB and 0xDC (Read Device ID) commands are followed by 8 extra clocks during which the MOSI line is driven by the LCD. In this 3-wire SPI mode the MISO is really SISO (slave in slave out) and is usually not supported by hardware so we will need to bitbang during this discovery phase. This is the way Nokia 6100 phones can tell the difference between the Epson controller (that does not respond to RDDID) and the Philips controller (that does). Looking at SPI recordings reveal that the controller on the large screen looks an awful lot like the Philips PCF8833 controller in the 6100. Searching by RDDID manufacturer id 38H turns up the Orise SPFD54124B for the 6101 screen. It has a lovely 262k frame buffer and supports a 12,16 or 18 bit color format. Ironically googling this controller led to a great site that details this and other earlier phone displays. The caller id screen seems to be a SED1565 or similar, the 1600 seems similar to the Philips. 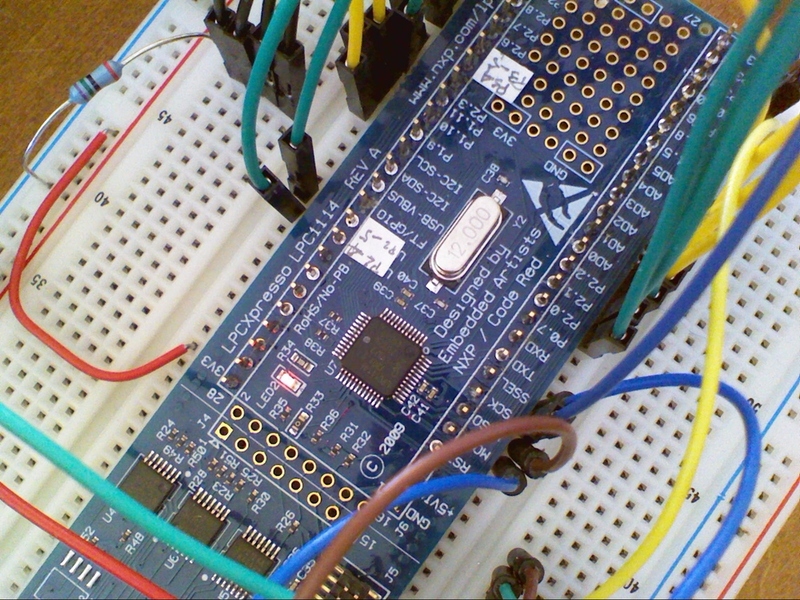 The 22 and 24 pin displays support SPI or an 8 bit paralell interface selected by a p/s pin. SPI is usually fast enough for smaller screens unless you are really perf sensitive. SPI means fewer pins on the mcu, fewer lines you need to convert from 5v to 3.3v etc. Now the really good news. The 6101 displays are really cheap on ebay. <$3 with free shipping much of the time. They address problems 1) thru 5) listed above. The 1600 screens are also cheap if you need something small – dealextreme has them for <$5. 1200 displays are pin and code compatible with the caller id screen an very low power if you don’t use a backlight. 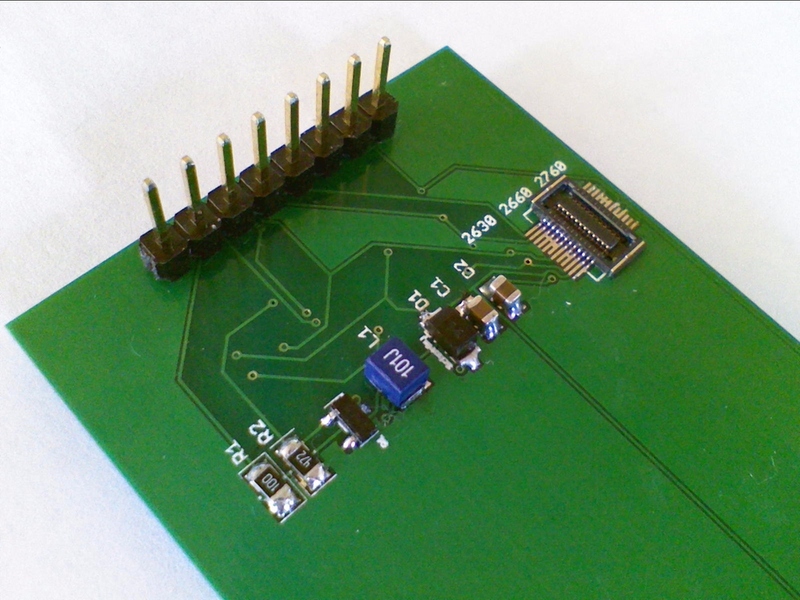 The breakout board above supports both 10pin pinouts as well as 22 0.5mm and 24 0.4mm pinouts. It has a built-in boost converter for generating various led supply voltages controlled by pwm from the mcu. It has a sense pin to allow you to measure the backlight current and adjust it accordingly by varying pwm duty cycle. 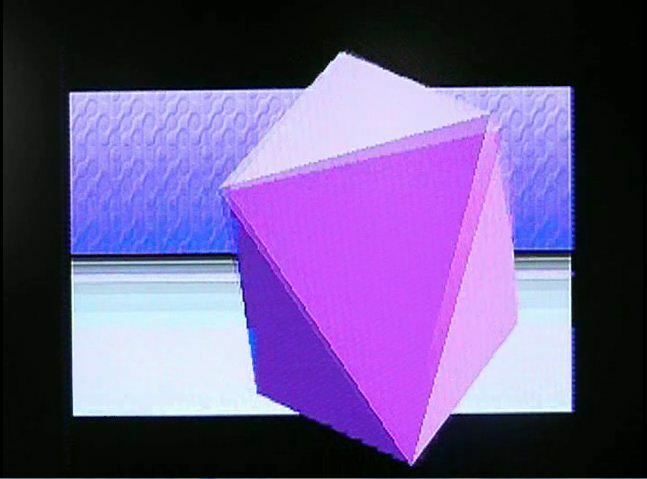 The software in the demo detects when a display is attached, selects the right driver and runs an appropriate graphics app: Wireframe 3D for mono screens, the reference Rossum icosohedron and a raycast lattice for color. As always code and schematics/pcbs will be posted on Sourceforge. 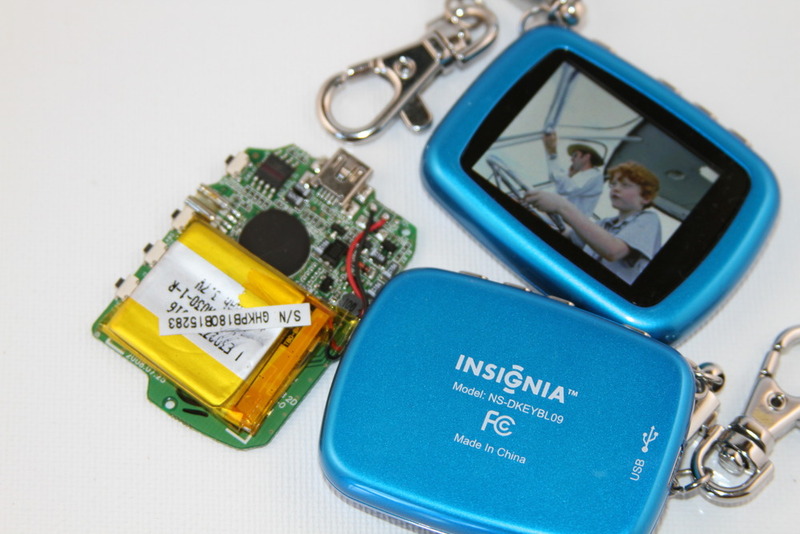 In the next post, I will look at displays from several non-Nokia phones, the worlds cheapest TFT and the Ipod Nano 2G. 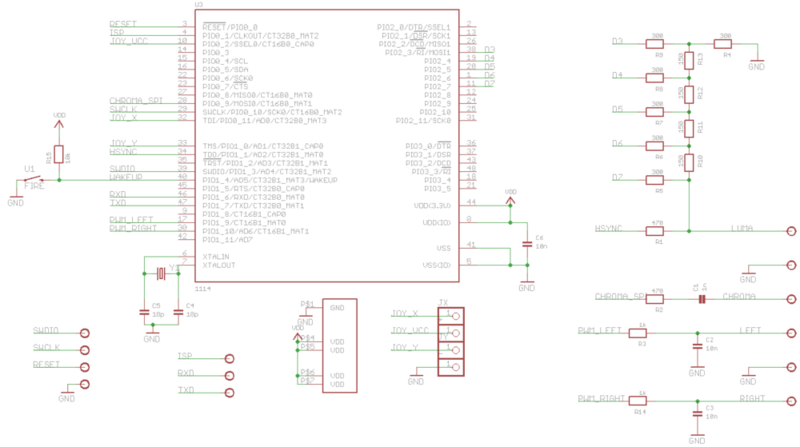 UPDATE: PCB, schematics and code for AVR and NXP posted at https://sourceforge.net/projects/nokiasuperbreak/. This entry was posted in Uncategorized on October 13, 2010 by rossumblog. 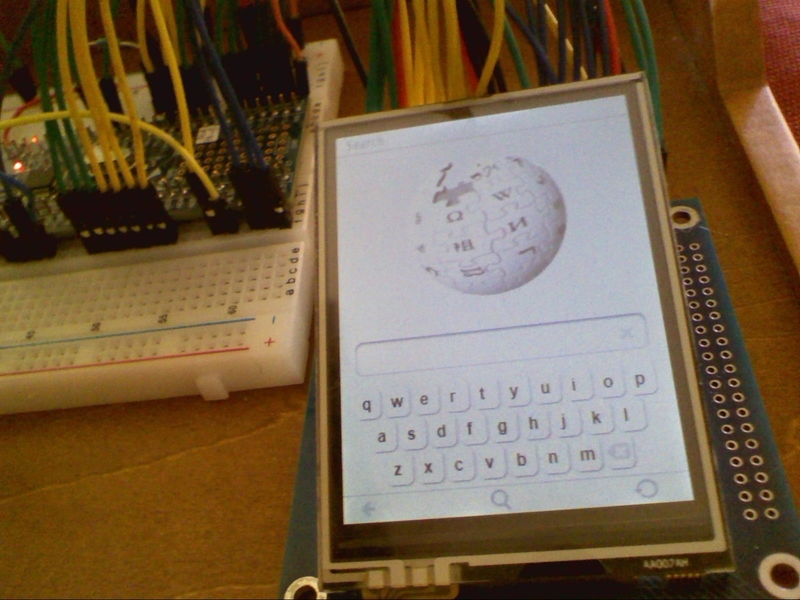 Wikipedia Homebrew device features Cortex M0 processor, all human knowledge. Gotta love Wikipedia. Gotta love really cheap, powerful Microcontrollers. They are even more delightful when combined. 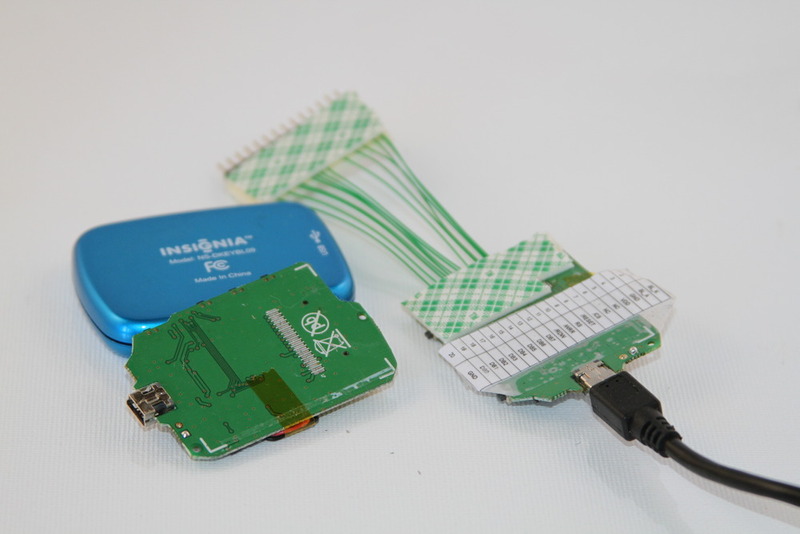 This is a prototype of a cheap offline wikipedia reader based on a new NXP ARM Cortex M0 microcontroller. It renders offline dumps of Wikipedia or other text formats (books, html etc) with a simple touch interface. 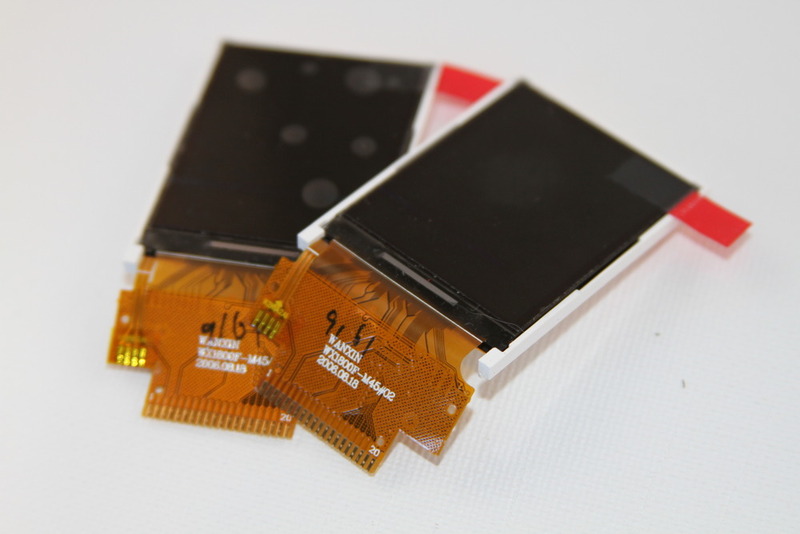 The dumps are stored on a microSD card and are rendered on a inexpensive touchscreen LCD. I will publish full schematics, PCB layout and source code to a final handheld version that looks an awful lot like the Microtouch. 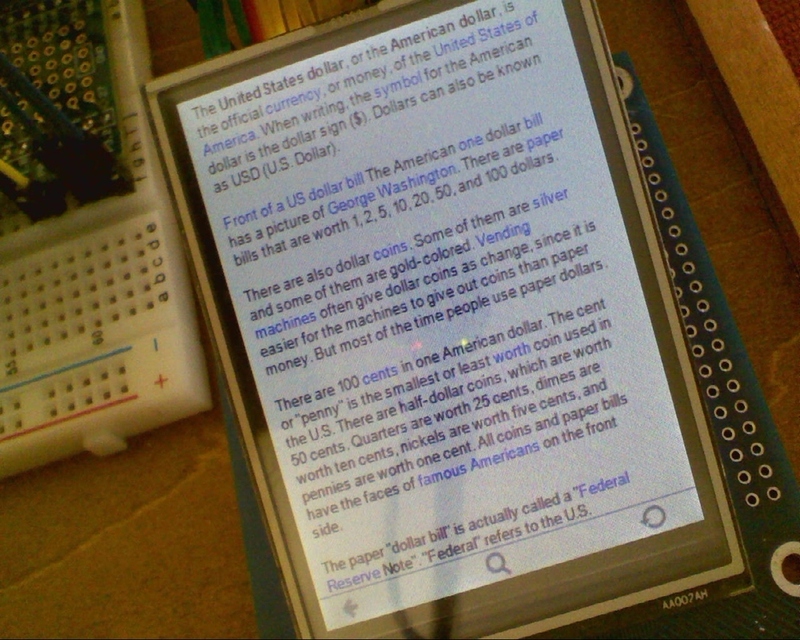 An offline grinder tool converts xml dumps from wikipedia and other sources into a compressed text layout format that is digestible on a small device. The hard part is decompressing and drawing the text with few cycles and very little RAM fast enough for it to feel like a responsive little consumer electronics device rather than a lumbering PC. The keys to this turned out to be a spatial index that allowed fast rendering of segments of a page and hugely simplified compression. The text renderer uses subpixel positioning to help make teeny fonts readable without slowing down drawing. NXP are onto something good with these ARM Cortex microcontrollers. The are cheap in onesies (<$2), fast (50Mhz), have plenty of memory (32K flash, 8K sram) and have a really nice dev kit (LPCXpresso) with Eclipse based tools and delightful Serial Wire Debug. Hardware breakpoints. 12K gates. Bloody amazing. This project uses the LPC1114 Cortex M0 but the PCB will also take a LPC13XX Cortex M3 part that is faster (72Mhz) and has full speed usb. 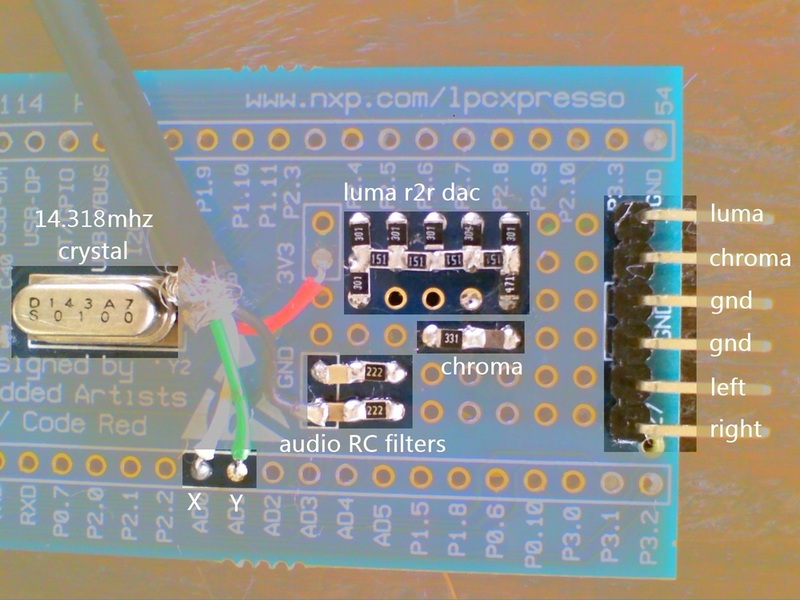 The prototype uses a LPCXpresso kit with lots ‘o jumpers and a ILI9325 based LCD, the same as the Microtouch. As it turns out, this also runs just fine on the AVR based Microtouch classic hardware. It isn’t quite as zippy but still works well. The code isn’t really optimized yet and there is probably room for improvement on both platfotms. You might expect the Cortex M0 version running at 48Mhz to be 4 times as fast. It isn’t. The M0 always requires 2 clocks to read or write GPIO (unlike a single clock for the AVR) so the LCD blit loops are at best twice as fast. Code size is about the same as one might expect. For those of you who have built your own Microtouch device I will make sure the classic hardware is fully supported. 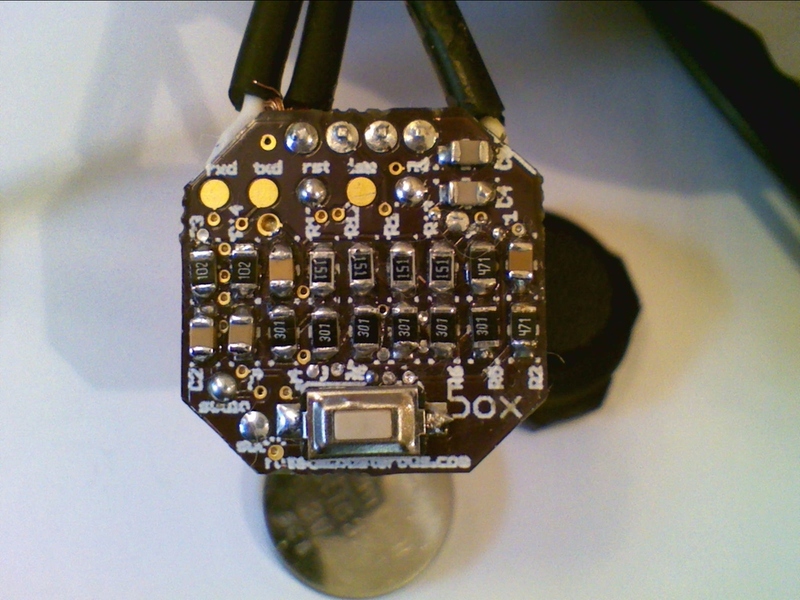 For those of you who have not built their own Microtouch yet I hear that there might be a kit in the works. Watch this space. This entry was posted in Uncategorized on May 6, 2010 by rossumblog. How small can something get and still be useful? This little experiment uses a 96×64 OLED display with a click screen interface that may not be useful, but at least its fun. 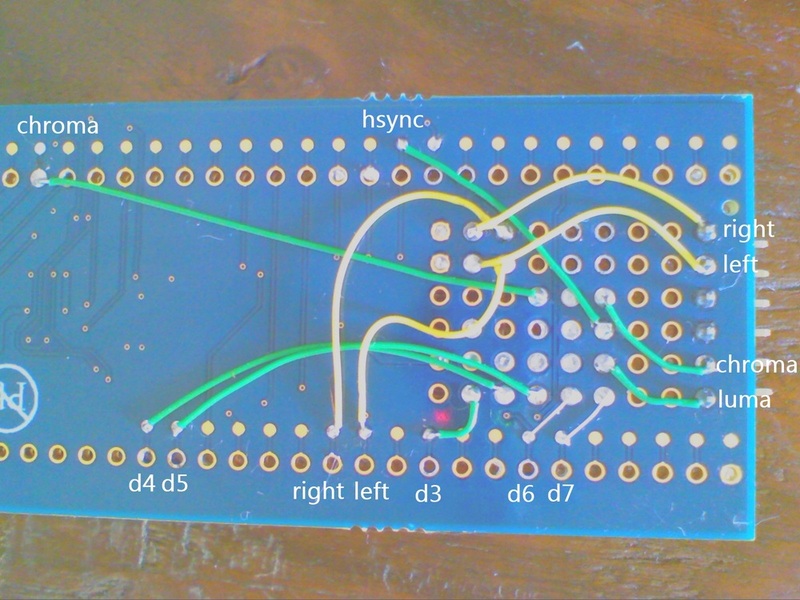 Like the last project, this uses an 8 bit AVR. This time it is a Atmega32u4 that is cheaper and smaller than the Atmega644p used in the last project and has 32k flash, 2.5k RAM and full speed USB in hardware. The screen itself is a beautiful little thing that uses a SSD1332 controller. These can be found on ebay, I have also seen them in China for $2. They are fragile – if you build one of these yourself you might want to buy a few spare screens or wait until I redesign the board so it does not need to flex as much. The screen sits on 4 tact switches that provide input to the user interface. Movies and UI transitions are streamed from a microSD card. The 3D demos are an homage to the brilliant yoomp and of course to John Carmak for establishing the whole first person shooter cultural phenomenon. This entry was posted in Uncategorized on January 22, 2010 by rossumblog. Can you make an iPhone out of an AVR? No. Can you get a surprising amount of functionality out of a humble 8 bit processor and a cheap touch LCD? Yes. The iPhone runs more than 30 times faster (417Mhz ARM vs 12Mhz AVR) and has more than 30,000 times as much ram RAM (128M vs 4k) yet this frumpy little device can ape some of the iPhones neater tricks. 320×240 LCD with 4 wire resistive touch screen – a ELT240320ATP variant from a dead Sylvania MP3 player – uses a ILI9325 controller. 12Mhz Atmega644 CPU with 64k Flash and 4k RAM – demo fits in 32k. 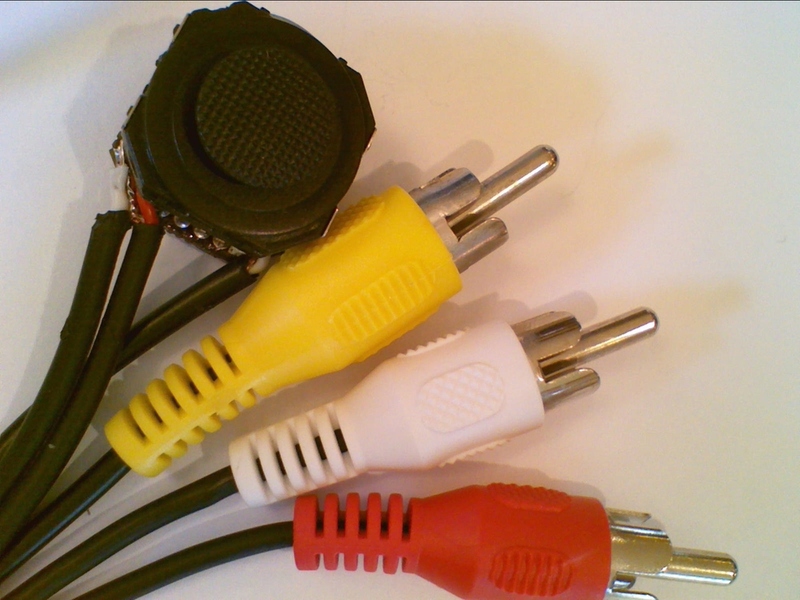 USB connector for PC communication and charging. 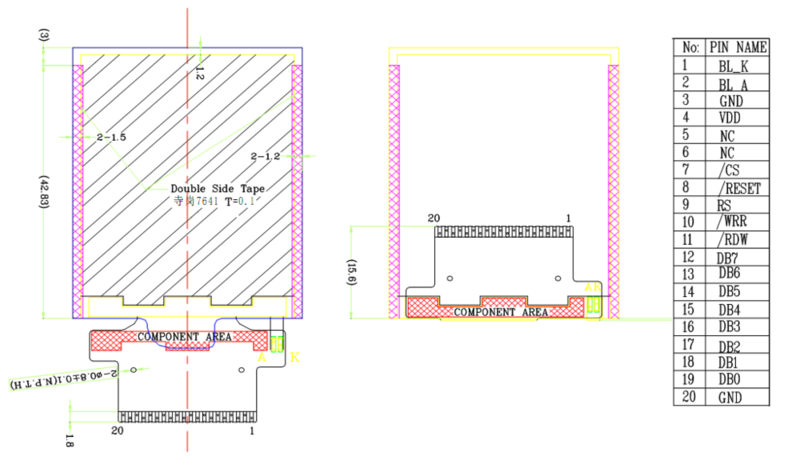 Lithium polymer battery with software controlled power. LCD driver to support blitting image decompression and smooth scrolling. Z-sorted span 3D engine with zero overdraw. Basic UI framework for gadgets and poorly drawn pictures. USB mouse or keyboard HID support. 4K of RAM might sound like a lot but it isn’t. Getting a 3D renderer to fit comes down to the representation of the active triangle edges – this engine uses 16 bytes for a double sided edge so you can have lots of triangles on a horizontal scanline and still run the whole thing in 8k of Flash and 512 bytes of RAM. Pacman just fits in 8K flash and 512 bytes of RAM. It uses the sprite engine and runs at > 60fps. None of the images or animations ever linger in RAM, the go straight from the SD card to the screen. The SD card is a wonderful alternative to RAM. Reading a 512 byte block takes ~1ms; not snappy but plenty fast enough for human interation. At 3.3v, the Atmega644 is limited to about 12Mhz. Pretty pokey when you consider you can buy a 50Mhz ARM Cortex-M3 with the same flash and ram for about 1/3 as much as the 644. Don’t get me wrong; I love the Atmel parts but a little more CPU would not go astray. This entry was posted in Uncategorized on October 28, 2009 by rossumblog.